Microsoft Edge was introduced in Windows 10 as a default browser, and even though this is a modern browser it has its share of issues. One problem that users reported is that Microsoft Edge doesn’t remember window position, so let’s see how to fix this problem. Microsoft Edge is a completely new browser and it’s designed as a replacement for Internet Explorer. Even though Microsoft Edge fixed many of the shortcomings that Internet Explorer had, Edge has its own problems. One of these problems is related to window position and users reported that Microsoft Edge doesn’t remember the position and size of the window once you close it. This isn’t a big problem, but it can certainly be irritating. Fortunately, there are few potential workarounds available. How to fix Microsoft Edge window position issues? Microsoft Edge not retaining window position – Many users complained that Microsoft Edge won’t remember window position on their PC. This can be an annoying problem, but you should be able to fix it by installing the latest updates. 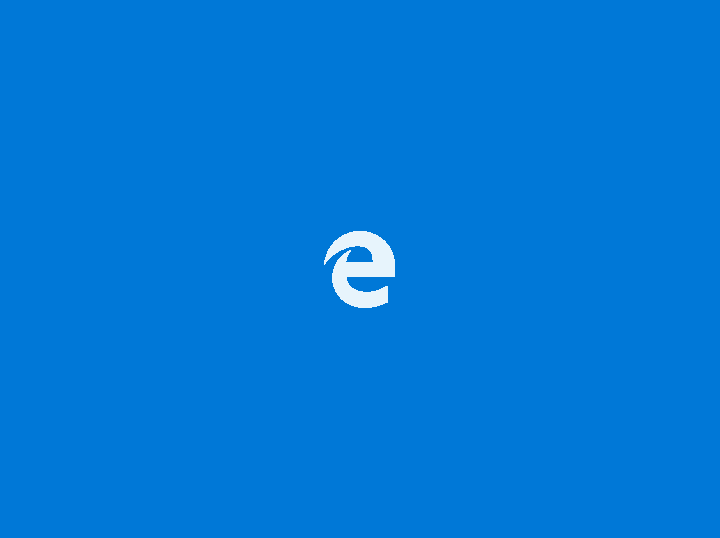 Microsoft Edge does not remember window size – This is another relatively common problem with Microsoft Edge, but you should be able to fix it using one of our solutions. This is a potential workaround and few users claim that it works. 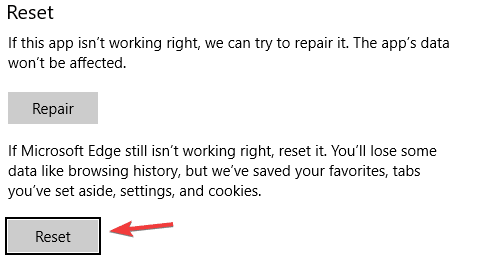 According to them, you can make Microsoft Edge remember window position after closing simply by clicking the X button with the right mouse button. To do that, right-click the X button, keep it pressed and double-click the X button with the left mouse button. This is an unusual workaround, but few users claim that it works, so you might want to try it out. According to users, you can fix this problem simply by installing a ShellFolderFix application. This application is designed to remember the size and position of all windows, so be sure that you download it and give it a try. This is a software problem with Microsoft Edge, and since Microsoft is aware of this issue, it should be fixed by downloading a specific update. This is just a minor and harmless issue, therefore it might not be fixed in near future. 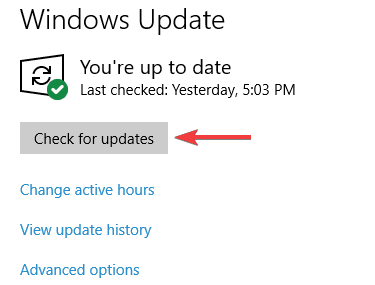 Nevertheless, be sure to regularly use Windows Update and keep your Windows 10 up to date. If any updates are available, they will be downloaded automatically and installed as soon as you restart your PC. After the latest updates are installed, check if the problem is still there. 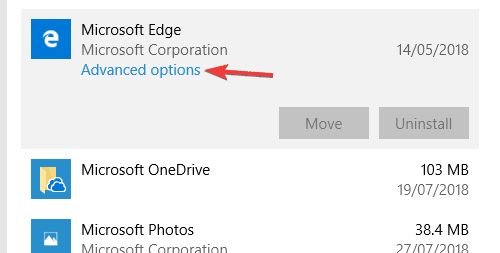 Select Microsoft Edge from the list and click Advanced options. Scroll down to the Reset section and click the Reset button. Click the Reset button once again to confirm. After doing that, Microsoft Edge will reset to the default and the problem should be completely resolved. According to users, in order to fix window position issues in Edge, you might want to close the application using the keyboard shortcut. This is a strange workaround, but it works according to users. Simply press Alt + F4 while in Edge to close it. After the application closes, start it again and it will retain its position. Bear in mind that this is just a workaround, so you’ll need to repeat it every time in order to prevent this issue from appearing again. This is another workaround, but according to users, it might be helpful if you’re having problems with Edge and window position. It seems that Edge resets its window position and size if you start it using the Taskbar or Start Menu icon. However, if you start the application using the desktop shortcut, the application will retain its size and position. This sounds like a strange workaround, but it works according to users, so you might want to try it out. Sometimes this problem can occur due to a corrupted user account. 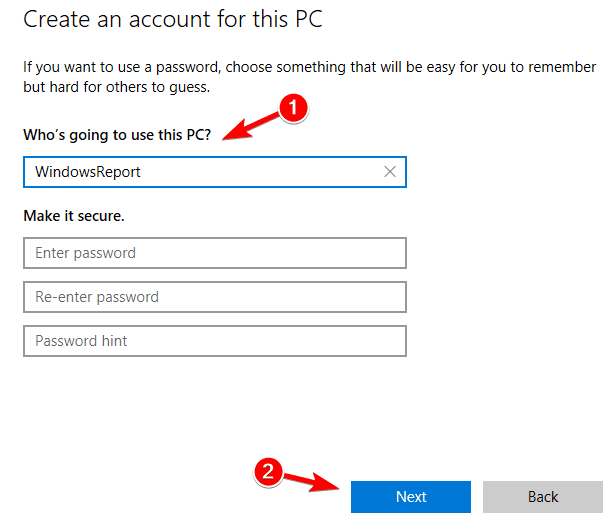 Your account can get corrupted for various reasons, and if that happens, you might encounter window position issues in Microsoft Edge. In the left pane, navigate to the Family & other people section. In the right pane, go to Add someone else to this PC. After you create a new account, switch to it and check if the problem is still there. If the issue doesn’t appear, you’ll have to move all your personal files to the new account and start using it instead of your old one. 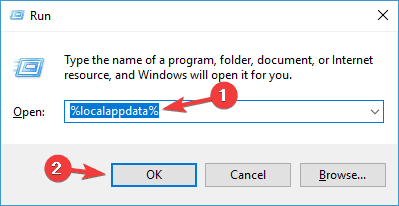 Navigate to Packages\Microsoft.MicrosoftEdge_8wekyb3d8bbwe directory and delete all files from it. Press Windows Key + S and enter powershell. 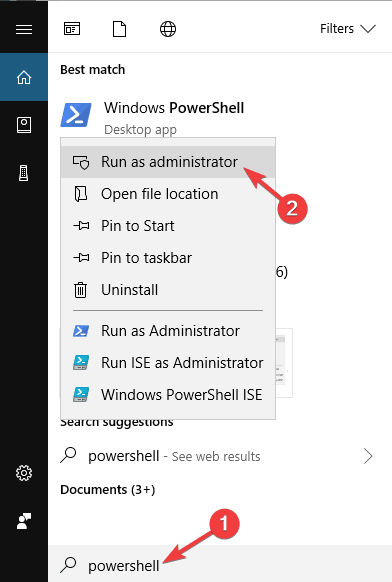 Right-click Windows PowerShell from the list of results and choose Run as administrator. After doing that, the problem should be completely resolved and Microsoft Edge should start working again. If this problem started appearing recently, it’s possible to fix it using System Restore. 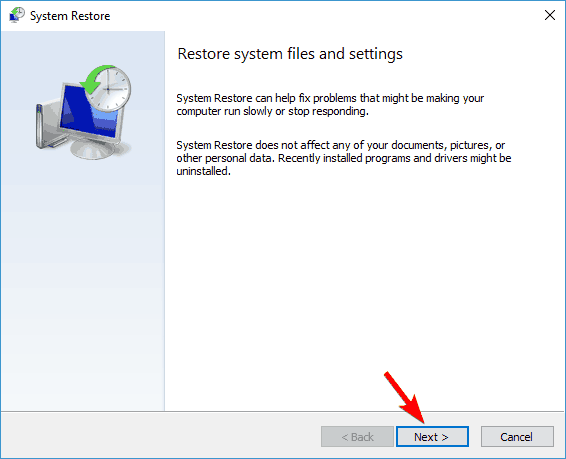 In case you’re not familiar, System Restore is a great feature that allows you to restore your system to the previous version and fix various issues along the way. System Properties window will now appear. 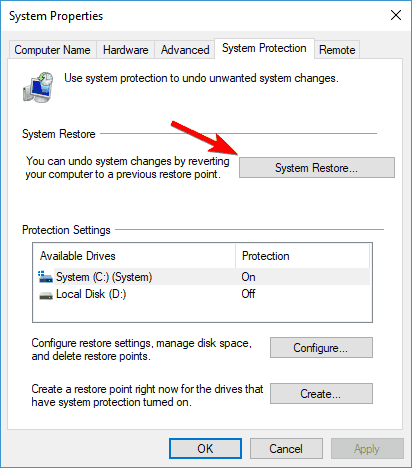 Click System Restore. 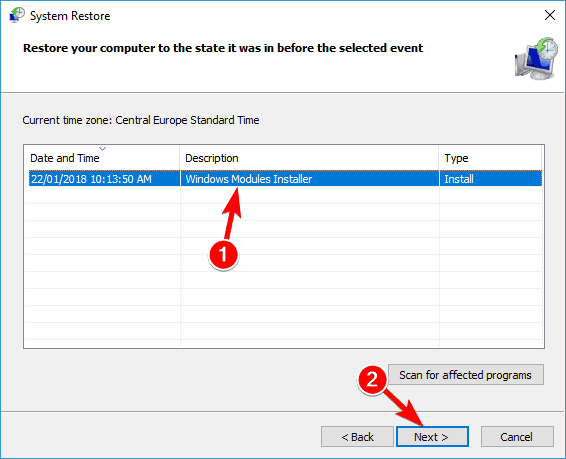 System Restore window will appear. Click Next to proceed. 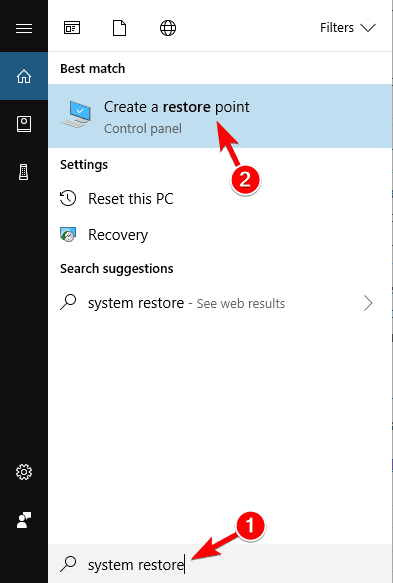 If available, check Show more restore points option. Now select the desired restore point and click Next. Follow the instructions on the screen to complete the restoration process. Once your system is restored, check if the problem still appears. If not, it’s possible that a system update caused this issue to appear, so keep a close eye on updates. If window position problems in Microsoft Edge keep appearing, you might want to consider switching to a different browser. This is just a small but annoying problem, and if you can’t fix it, maybe this is the right time to switch to a different browser, such as Firefox or Chrome. Both browsers have the same features as Microsoft Edge, so there’s no reason not to try them. Microsoft Edge window position issues can be a minor hindrance, but until an official fix is released you might have to rely on workarounds and third-party solutions.